This site requires at least version 8 of the Adobe Flash Player. Please visit www.adobe.com to download the latest version. 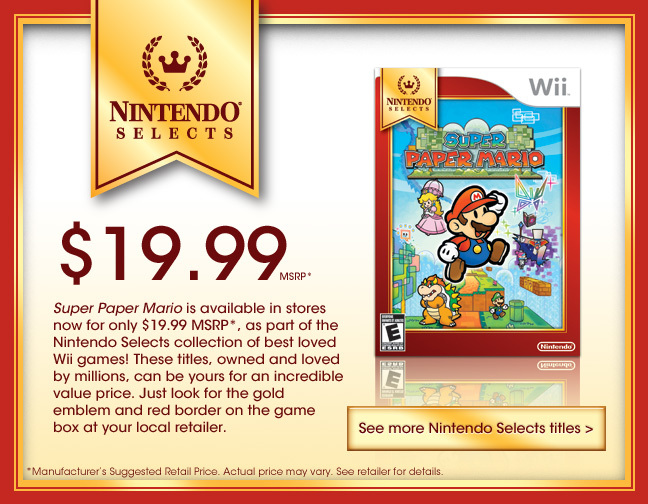 Super Paper Mario © 2007 Nintendo/INTELLIGENT SYSTEMS. ™, ® & the Wii logo are trademarks of Nintendo. © 2007 Nintendo. Dolby, Pro Logic, and the double-D symbol are trademarks of Dolby Laboratories.